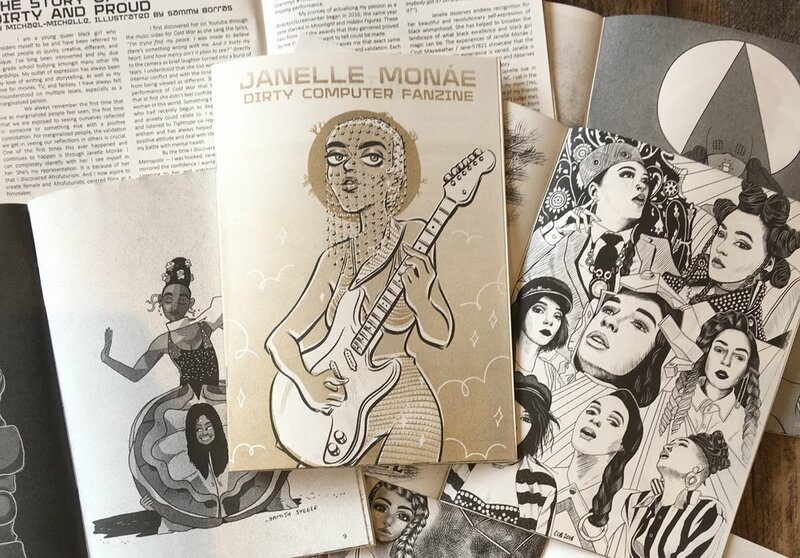 I did a open call for submissions for a Janelle Monáe Dirty Computer Fanzine through my music blog, That Music Zine. 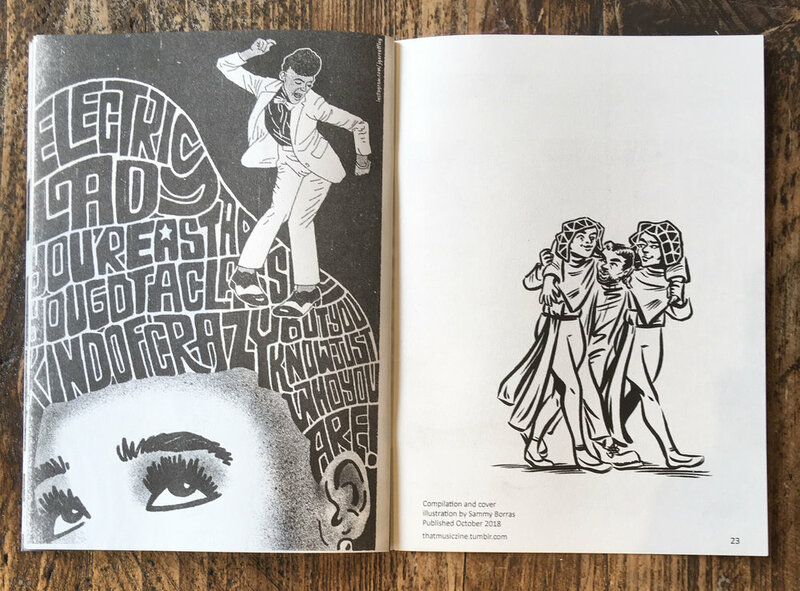 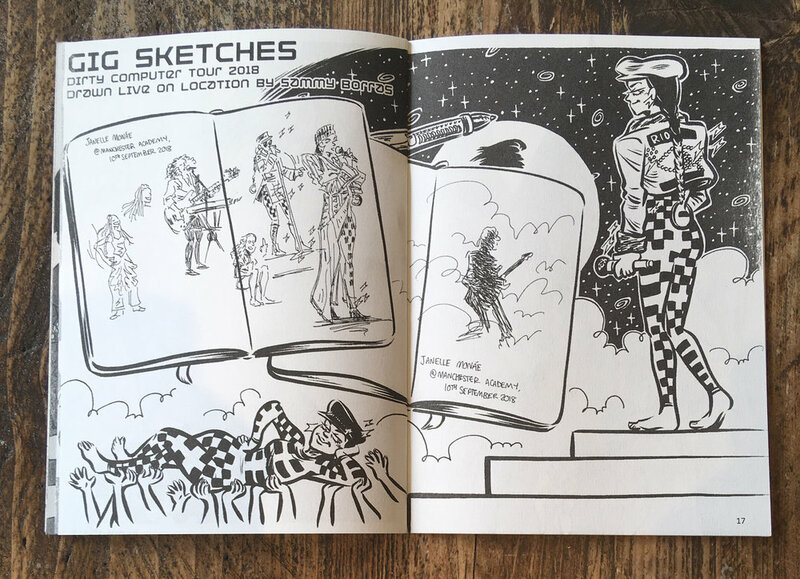 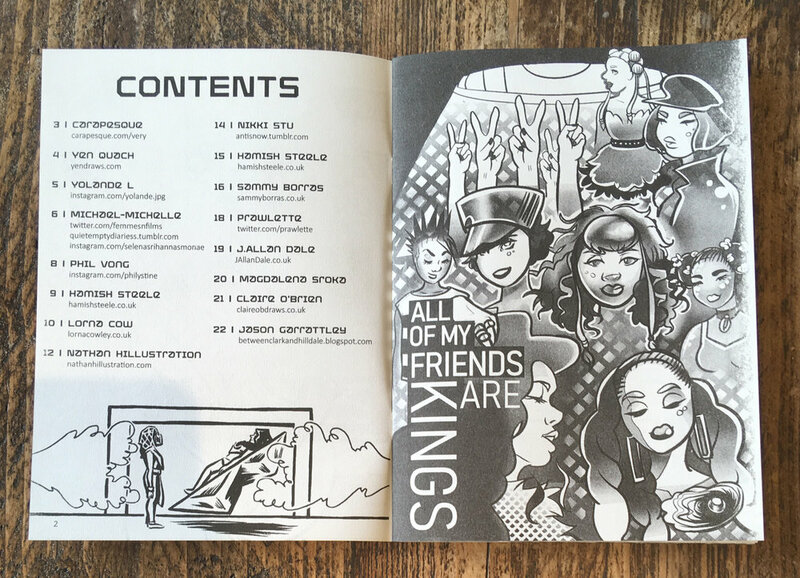 I illustrated the gold and black cover, and a double page spread featuring sketches drawn at her live show and compiled the files into a booklet for printing. 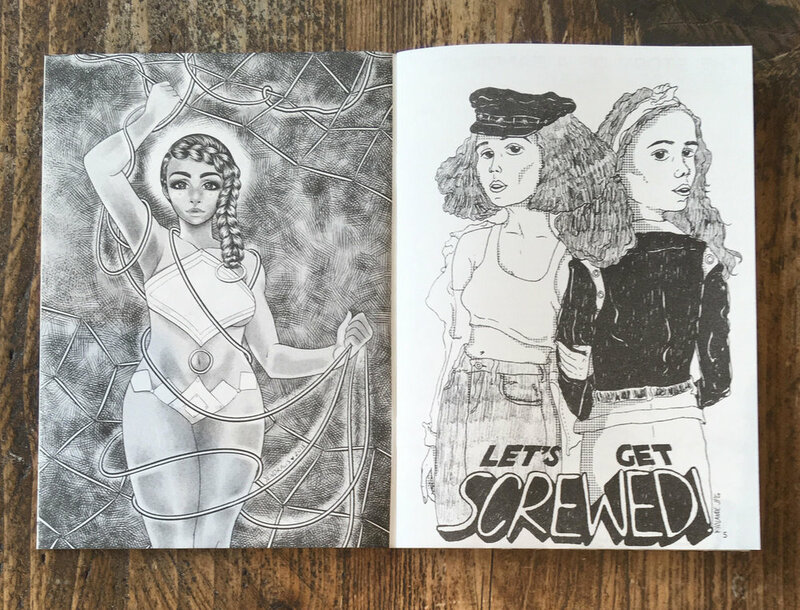 The zine was printed by Rope Press using 2 risograph inks.